Lucy in the Sky, the forthcoming film formerly known as Pale Blue Dot, finally has a teaser trailer. Academy Award winner Natalie Portman stars as Lucy Cola, an astronaut who loses touch with reality after returning to life on earth with her husband (Dan Stevens, Beauty and the Beast) and family. Lucy starts up an affair with a fellow crew member (Jon Hamm, Unbreakable Kimmy Schmidt), but he also enters a tryst with a trainee astronaut (Zazie Beetz, Atlanta). Thrown by this turn of events, Lucy’s mental state begins to spiral out of control. “You go up there, you see the whole universe. And everything here looks … so small,” Lucy says wistfully after finding herself back on planet Earth. The teaser doesn’t shed much more light on the situation, but we are thoroughly enjoying Portman’s incredibly dowdy haircut. The central love triangle is loosely based on real-life events from 2007, when astronaut Lisa Nowak drove 900 miles to try to kidnap her ex’s new significant other. Of course, they had to change Lisa’s name to Lucy to make the film’s lame new title possible. Pearl Amanda Dickson (Legion) and the inimitable Ellen Burstyn round out the movie’s bill. Noah Hawley, the creator of Legion and Fargo, is directing, while Brian C. Brown and Elliott DiGuiseppi penned the script. 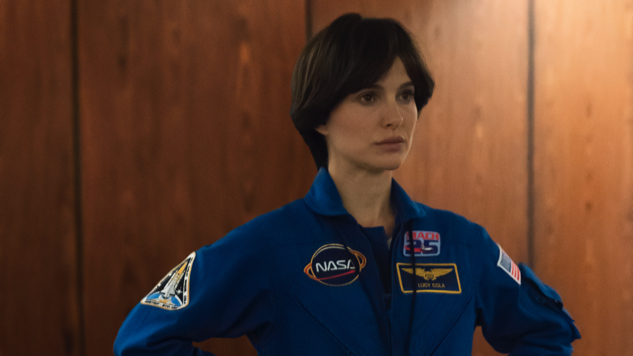 We still don’t have a release date, but you can watch the Lucy in the Sky teaser below.